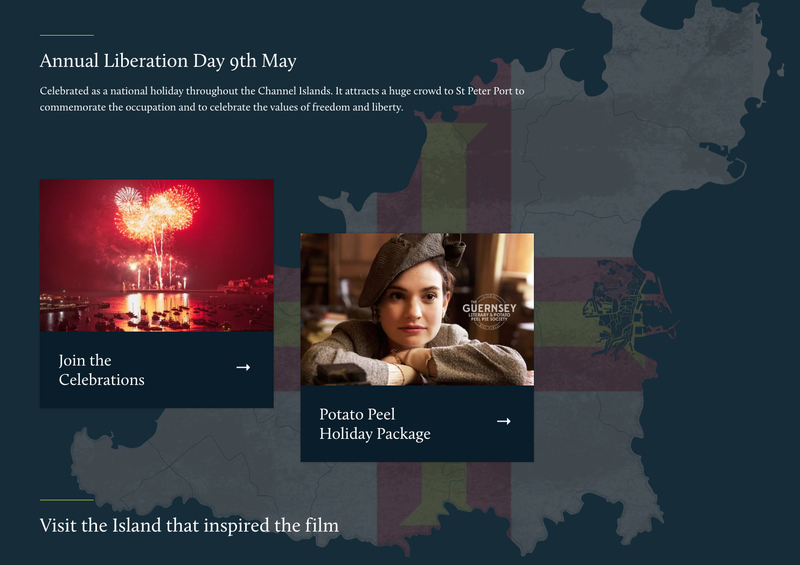 VisitGuernsey tasked us with creating a digital asset that links the newly released historical drama film “The Guernsey Literary and Potato Peel Pie Society” with a holiday in the Bailiwick of Guernsey. 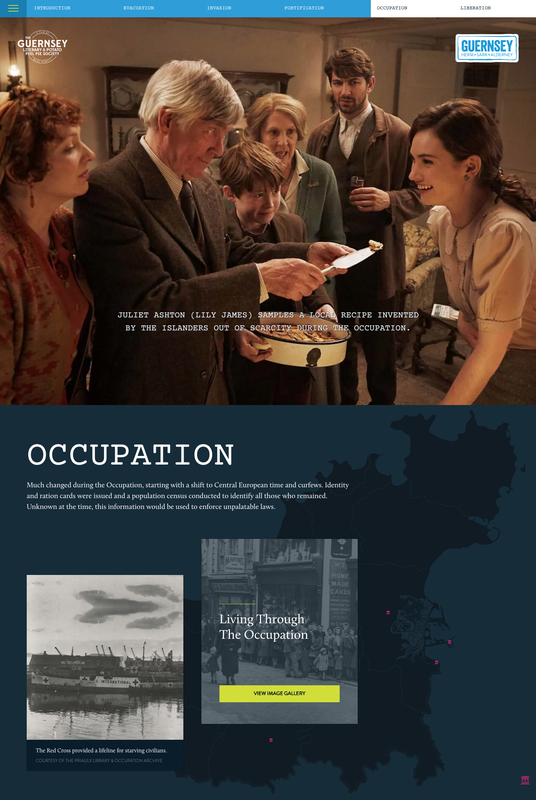 To answer this brief we conceptualised, designed and developed an immersive site that explores the real story of the occupation though interactive content including image galleries, real life interviews, historical footage and newspaper clippings. Working closely with the VisitGuernsey digital team we paired this content with exclusive film assets provided by Studio Canal to tie the experience together. 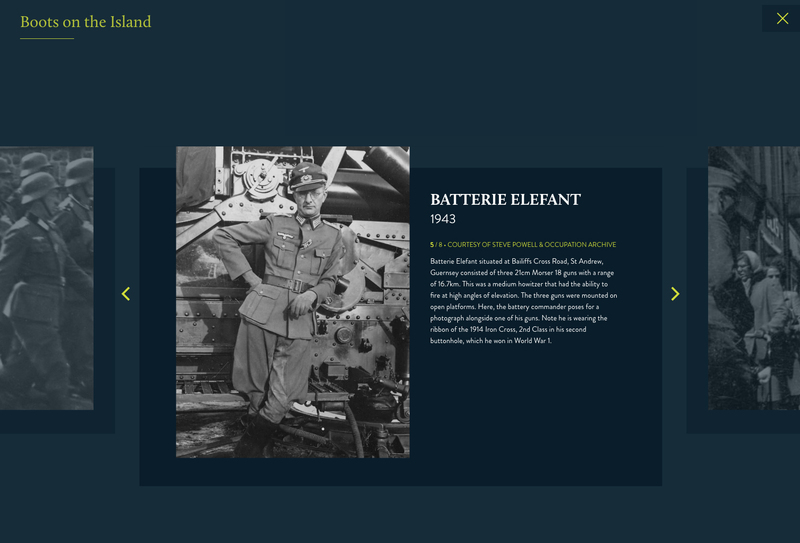 The site takes the user on a historical journey through the islands’ evacuation, invasion, occupation, fortification and liberation. It aims to capture the imagination of those interested in events depicted in the film, and inspire them to visit the Bailiwick and discover our excellent heritage offering. 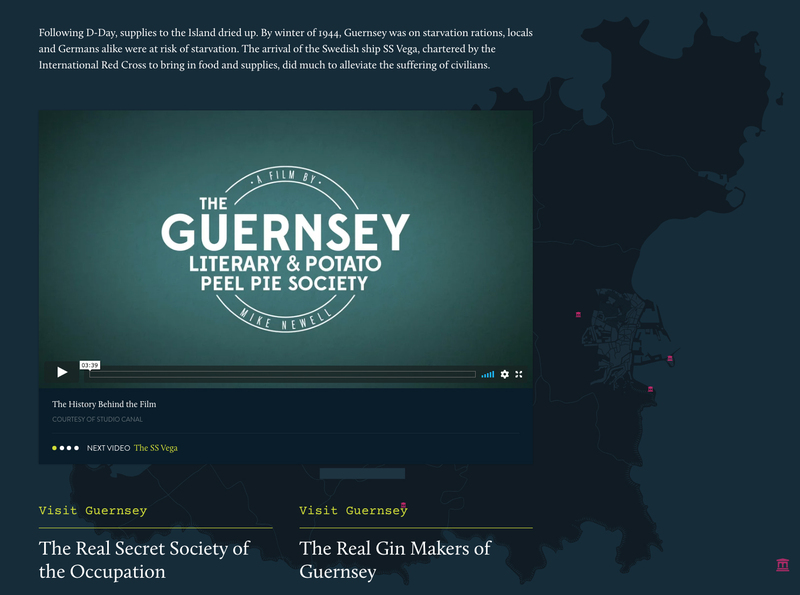 Contextual calls-to-action are included throughout the site to direct visitors to the fascinating heritage sites they can visit while in Guernsey, and details of special "Potato Peel Pie" inspired holiday offers.